Patterdoodles _ Update All sold and awaiting to go to new homes !!!!' Gorgeous healthy black fluffy teddy bears. Reared in the house can be seen with mum. 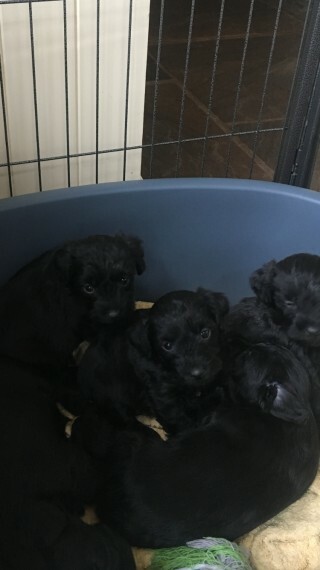 Mum is a chocolate patterdale Dad is a apricot toy poodle. Very well socalised with children and other pets. Will be microchiped, wormed and flead up to date. Ready to go now. Genuine enquires only please. Can arrange delivery.